WW-495 Delicate white wristlet of rose buds accented with iridescent beads & sparkles. The iridescent ribbons reflect pastel shades – perfect for those hard to match dresses. 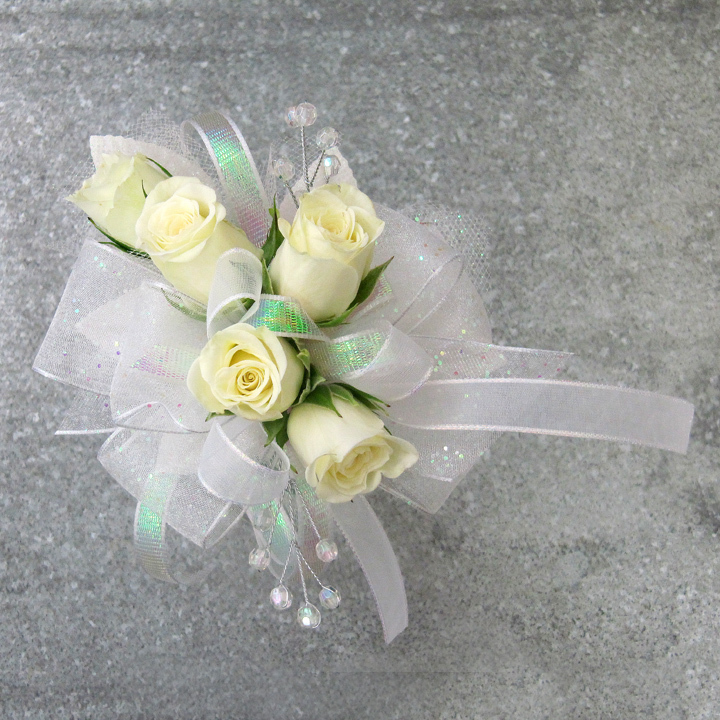 Delicate white wristlet of rose buds accented with iridescent beads & sparkles. The iridescent ribbons reflect pastel shades – perfect for those hard to match dresses.